Just as I expected, the second movie in the Narnia series, Prince Caspian, dethrones Ironman in its opening weekend making $56.6 million based on estimates. Although it made less in North America in its debut weekend compared to the first movie, The Lion, The Witch, and The Wardrobe, which raked in $65.5 million, producers expect the movie to gain momentum during the Memorial Day weekend and stay strong as summer holidays begin. 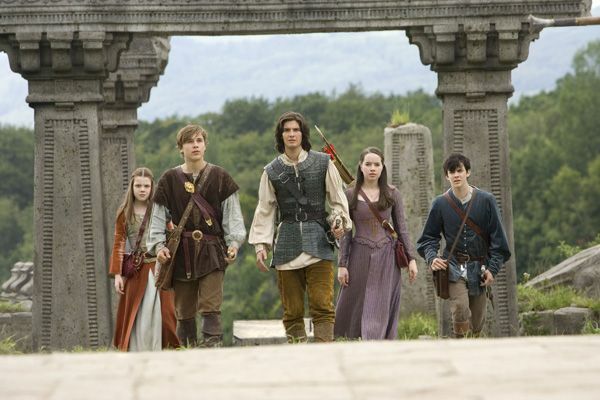 The first movie grossed $745 million worldwide during its theatrical run and it is likely that Prince Caspian will not be far behind in the tally. Ironman was unseated from the top spot after holding it for 2 weeks, slipping to the second spot making $31.2 million. Ironman has reached domestic gross of $222.5 million to date. The biggest disappointment in the movie industry is the Wachowski brothers’ Speedracer which grossed only $29.8 million in 2 weeks. Although producers of the movie hasn’t raised the white flag, it is still a long way to go before they can recover the $120 million it cost to make it. Good luck then — I didn’t even know that the Wachowski brothers were behind that movie.